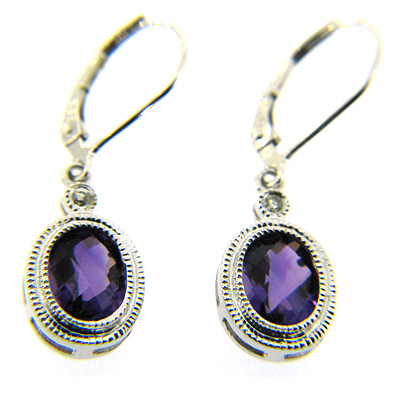 14kt white gold dangle earrings. Amethyst stones are 2.90 ct total weight. Piece weighs 2.7 grams. Diamond accents are .05 ct total weight. Hinged clasp. Measures 32 by 17.5 mm.